For Mother’s Day, I got a beautiful new juicer and it has become my best friend. I have fallen back in love with juicing and make this staple drink regularly. I usually add apples or beets to most juices to add sweetness and cut any strong flavour from other veggies. The ginger adds quite a kick and is great for detoxing the system. Juice the ingredients in a juicer and enjoy! 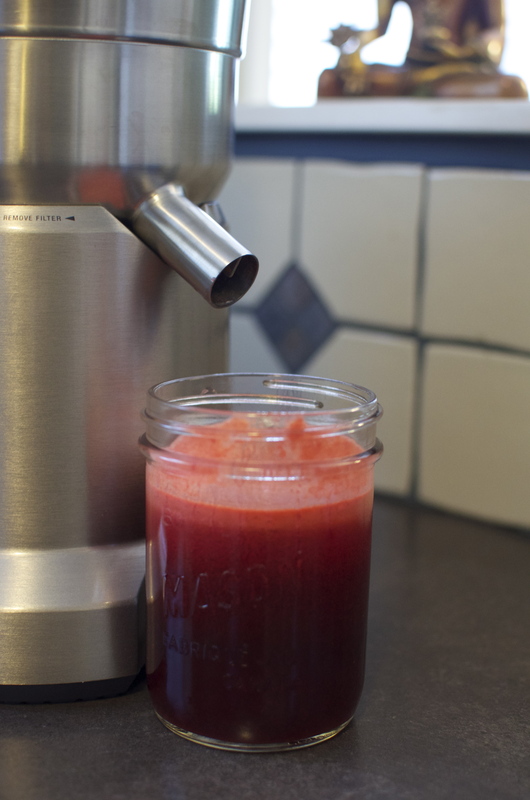 You are currently reading Apple Carrot Beet Juice at Coriander Kitchen.